Movie review for ‘Silent Hill’, one of the top 5 scariest films, in my opinion. When a mothers seeks answers about her adoptive daughter’s sleepwalking episodes that threaten the poor child’s life, Rose (Radha Mitchell) is lead to Silent Hill, the town her daughter Sharon (Jodelle Ferland) keeps screaming out during her episodes. While stopped at a gas station to ask direction to Silent Hill, Rose attracts the attention of a motorcycle cop, played by Cybil Bennett (Laurie Holden), she is followed by the officer and ultimately Rose crashes on the abandoned outskirts of the town and is knocked unconscious. When she wakes, her daughter Sharon is missing and falling ashes encase the town. 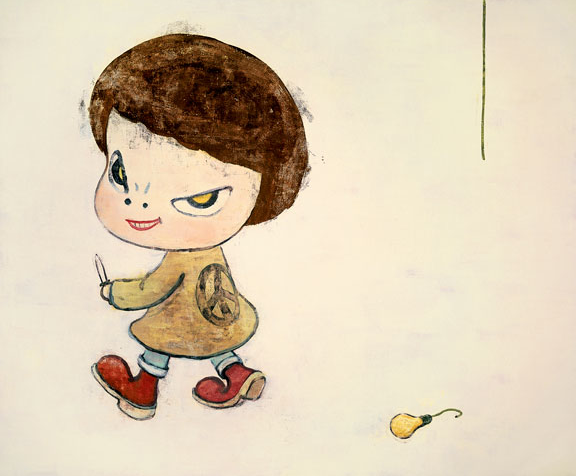 Now in search of her daughter, Rose experiences bizarre alternate reality shifts, mysterious terrifying creatures and the most dangerous of all, the people who inhabit the town. Based on the video game of the same name, Silent Hill, released in 2006 and directed by Christophe Gans, is horror at its finest. Having never played the game until last year, I was unfamiliar with the storyline when I first saw the film; I believe this was to my advantage, for I had not formed any expectations going in. It’s to my understanding a lot of people were annoyed that the characters were changed (the father was the main character in the game) but that is to be expected for die hard fans. After recently finishing up her photo shoot and exhibition on the Island of Eleuthera in the Bahamas, costume designer Alexandra Cipriani announced the launch of a new fashion and lingerie line. “My new line is designed to push the limits of self-expression, originality and fashion. Our clients are one of a kind entertainers, and this line was designed with this in mind. Several of our outfits will be worn in up-coming feature films, and we are preparing to present a new advertising concept to Smirnoff Vodka that we believe will be very successful,” says Cipriani. Park Avenue Armory, in collaboration with Asia Society Museum, will host an open studio with Yoshitomo Nara and designer Hideki Toyoshima’s collaborative team, YNG, and will undertake rebuilding the structure of the installation work, ‘Home’, and Nara will establish a temporary studio to create new drawings and other works that will be included in Asia Society Museum’s exhibition Yoshitono Nara: Nobody’s Fool. 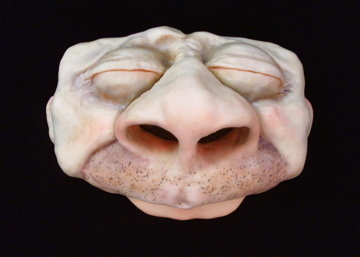 Artsit Jenn Dott created this polymer clay face tissue box which humorously allows the tissue to be pulled through the nose. Don’t you love links to cool stuff you that teaches you new things, or you want to know about but never knew existed? We peruse the internet for such things, so you don’t have to. 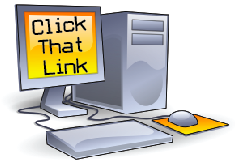 ‘Click That Link’, is a complied list of cool useful website links worth checking out. 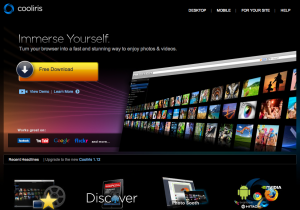 YouTube Lean Back – A full-screen feed, personalized for each viewer, begins playing. Using your enter and direction keys you can navigate the feed. No need for the mouse or for entering URLs. It’s like TV on Youtube. Cooliris – If your lucky (only on this occasion) to have a Windows OS, then you can explore the wonderful world of Cooliris. 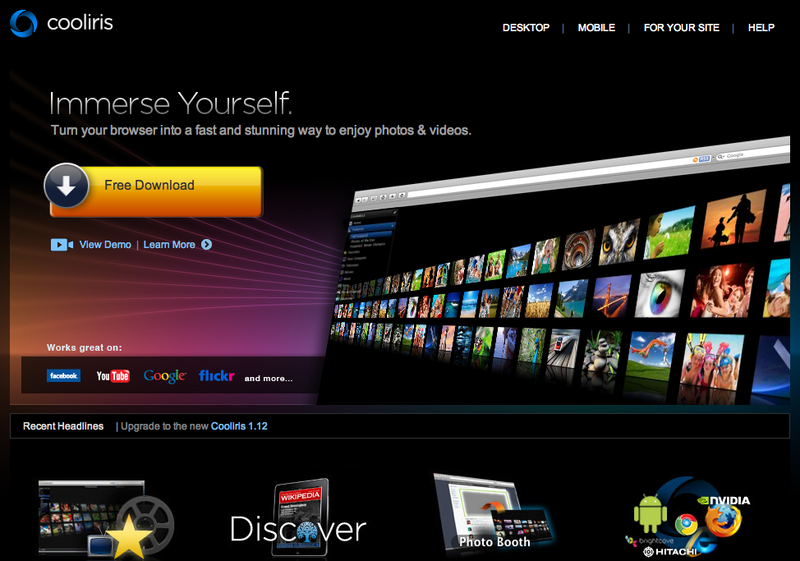 It’s a stunning app that totally changes your viewing experience for videos, photos on Google, etc. I cannot wait till it’s available for Mac. Most of us cannot live without their cell phone being further than two inches away at all times. With this fact in mind, it is obvious that swimming and cell phones do not mix. 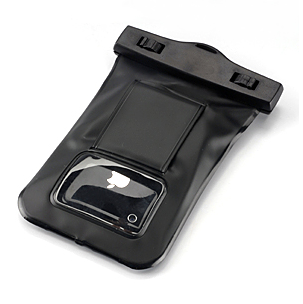 There have been countless times people find themselves either thrown in a swimming pool or wanting to take a swim at a pool party and are scared to bring their cell anywhere near the water. Now you can go swimming with your i-phone and text your friends, update your Facebook or Twitter status with ‘I’m IN the pool!” while keeping it nice and dry with this cool tech gadget. 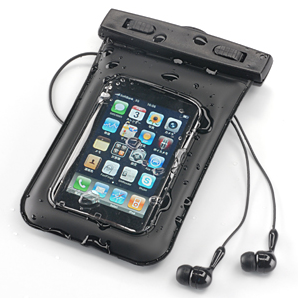 Check out this waterproof cell phone case (a waterproof bag) that solves all your problems. It’s available at Sanwa for $35.00. You could even take a shower with your cell phone and never miss a call. We have recently done some major adding to our Twitter Lists which includes categories such as The Big Apple, Inspirational Quotes, Fashion, Museums & Galleries, Music, Food, Culture and News, Art, Social Media and Tech, Film/TV and Celebs, and last but not least Design (our fattest list so far with over 130 people, magazines and companies to follow). 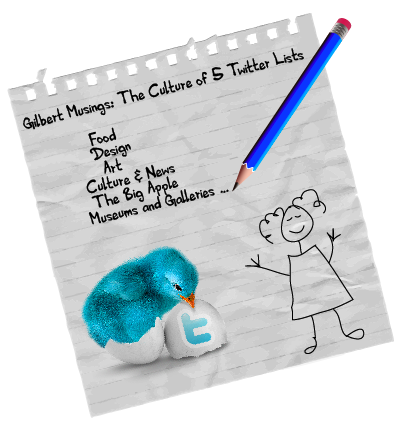 If you’re on Twitter go check it out Gilbert Musings Twitter Lists and follow us too.